How are trade secrets protected at national level within the EU? The protection of trade secrets is an essential guarantee for the protection of intellectual property. However, until recently, EU Member States offered very different levels of protection for confidential information. Directive EU 2016/943 adopted in June 2016 thus aimed at harmonizing national legislations. All industries should thus benefit from the homogenization of trade secrets at EU level . Although, while the directive transposition deadline was set for 6th June 2018, EU Member States have actually implemented it at different paces. Companies have however already seized the opportunity to rely on it. In France for example, the Paris Court of Appeal held on 9th October 2018 the first French decision relying on the transposition of the directive (see the decision below). In this case LGE had asked the Court to order Conversant Wireless to present confidential evidence, who opposed it. The Paris Court of Appeal granted LGE‘s request, considering that the confidentiality conditions provided by article L. 153-1 of the French Code of commerce, which transposes EU directive 2016/943, would adequately protect the trade secrets contained in the confidential evidence at stake. The protection of trade secrets and confidential information is a problem that will similarly arise before the UPC. How will trade secrets be protected by the UPC? The UPC Agreement provides for different measures to protect confidential information, at articles 45, 52, 58, 59 and 60. Article 45 allows the UPC to arrange for private proceedings, and article 52 provides that the UPC may, with the agreement of the parties, dispense with the oral hearing. Article 58 grants the Court the power to order the prohibition or restriction of the collection and use of evidence, while articles 59 and 60 subject the Court’s power to present and preserve evidence as well as inspect premises, subject to the protection of confidential information. However, the UPC Agreement also contains provisions that may be more challenging for the protection of trade secrets. Article 10 for example states that the register shall be public (though article 45 provides for private proceedings) . Article 80 adds that the Court may, at the request of the applicant, order the display or publication of the decision. But what about Non-Disclosure Agreements? The UPC Agreement does not say anything about Non-Disclosure Agreements. The UPC Rules of Procedure on the other hand specify when the parties can request such agreements. Hence, when the UPC must give an order “to produce evidence” (Rule n°190), “on the application for preserving evidence” (Rule n°196), or “for inspection” (Rule n°199), measures to preserve the confidentiality of the information at stake can be granted by the Court. Such measures restrict the disclosure of the information “to certain named persons only and be subject to appropriate terms of non-disclosure“. Rule n°105, 115, 197 and 262 also provide for the Court to adapt respectively the interview conference, oral hearing, order to preserve evience and public access to the register. These guarantee that the information is kept “to the extent necessary, confidential in the interests of one or both parties or third parties or in the general interests of justice or public order“. The UPC Agreement and the UPC Rules of Procedure thus, in a similar way than EU member states, transpose the EU directive 2016/943. 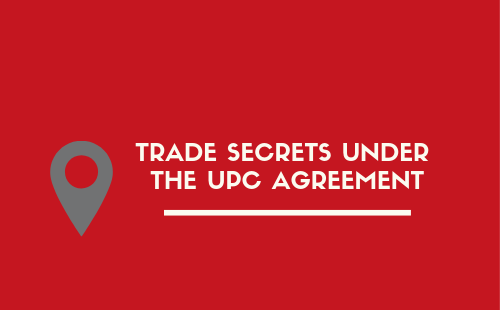 The UPC Agreement is thus drafted to guarantee that trade secrets are not stolen or otherwise unlawfully acquired. Nonetheless, it will now be for the UPC to apply its discretion and decide consistently when to use the measures provided for in the UPC Agreement and in the UPC Rules of Procedure.